Our member Donnae Bergson posted this tip on our Facebook page, but I thought I’d post it here for those of you that missed it. 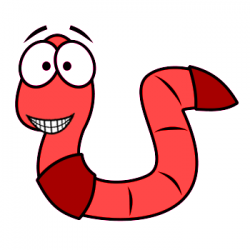 She says McCrawl’s Redworms is a great place to get worm castings for your garden. I love the name “McCrawls” Here they are right in a neighborhood. Gift idea, just in time for Valentines Day. I’m not kidding ! One of my best Xmas gifts was a 1 lb. box of worm poop.